Listen Up - Madeon - Pop! Bang! Boom! …that <a href="http://popbangboom.blogspot.com/2012/06/super-mashup.html">“other time”</a> is right now. The kid (meaning Madeon, if you’re not paying attention) is really on to something here, I’ll tell you that much. Think Passion Pit dreamy pop, only a little more Jacques Lu Cont-electronica. If you know what that means, you’re already foaming at the mouth. His latest is called Icarus, and it’s a bonafide stunner. “Icarus” is a totally fitting name once you’ve listened to it. You know Icarus, the myth of the man who is given wings, but he flies too high and the sun burns them off and so he falls back down to Earth to his death? If you didn’t, you just got a quick mythology lesson AND an awesome pop song. It’s your lucky day. He also has an original tune called “Shuriken” which I don’t love as much, but when we put it next to a lot of other electronic production, it’s still stellar. Disco, pop, and even if it is completely original, it sounds like a mashup. Very European glitch (he is European, but just saying you can really hear it). As you can see, I could talk about this guy all day. Really, really exciting stuff. Can you imagine if this sort of thing finds its way into the mainstream? Super mashups and glitch and electronica disco? I’m getting goose bumps just thinking about it. What started as a little lesson in super mashups (you’re getting used to hearing it, aren’t you? Good. Now go out and try throwing it into a conversation. Let’s make this a thing.) 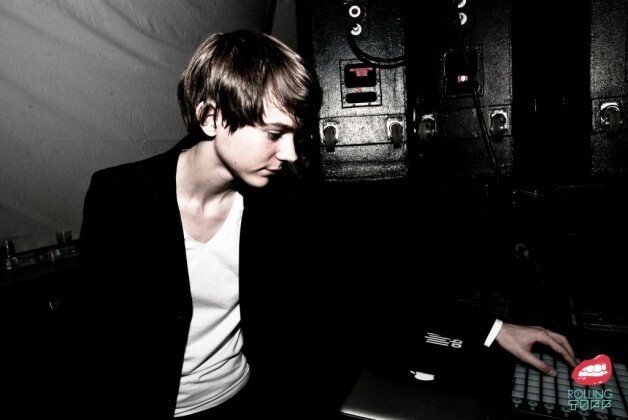 has turned into a lot about Madeon, but he’s totally worth it. Oh, and if you didn’t already hate yourself for not contributing as much to changing the face of production as much as he has, you’re about to hate yourself even more. HE’S SO YOUNG. Wow. I need to go get a Moog and get to work. Friend him (or follow him? I’m not sure what to call it) on <a href="http://www.facebook.com/itsmadeon">Facebook</a>.